I have another Memebox review for you guys! This one is oh so cute! A little about Memebox first! Memebox is currently the #1 beauty box provider in Korea, and arrived here in the US and other countries just recently! There are a couple of different boxes: Memebox, Memebox Special Editions, Superbox and Luckybox. Boxes are shipped internationally but not all countries are included. Clickhere to see if your country is included. Memebox is not a continuous monthly service like Ipsy or Birchbox. New boxes are released all the time with exciting themes! More information can be found at here! And now for a little bit about the different boxes. Memebox special edition comes packaged with 4-8 full-size products and deluxe samples under its own theme. 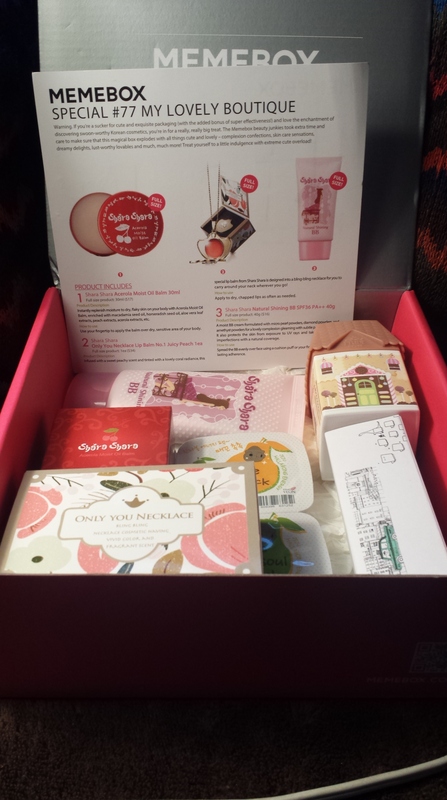 Memebox special edition is designed to meet various concerns, beauty trends, and also seasonal needs. 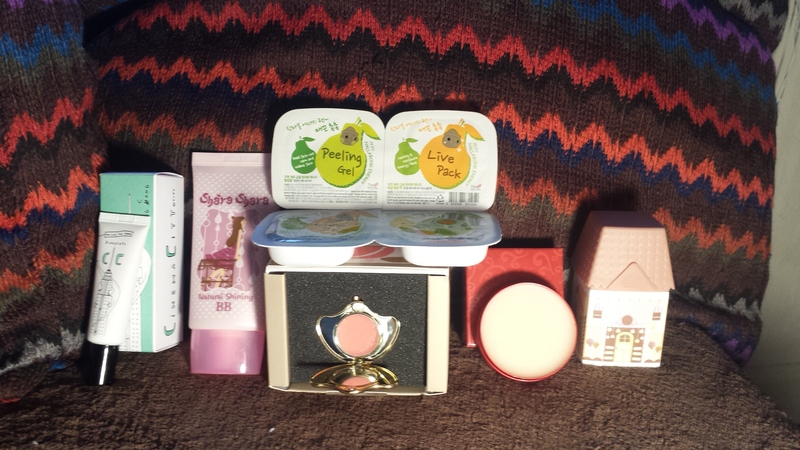 Lets get into these adorable products! Warning. If you’re a sucker for cute and exquisite packaging (with the added bonus of super effectiveness!) and love the enchantment of discovering swoon-worthy Korean cosmetics, you’re in for a really, really big treat.The Memebox beauty junkies took extra time and care to make sure that this magical box explodes with all things cute and lovely – complexion confections, skin care sensations, dreamy delights, lust-worthy lovables and much, much more! With a killer combo of quality brands and formulas, innovative beauty solutions, and drool-worthy packaging, this box will literally get you weak at the knees with just one look! Treat yourself to a little indulgence with extreme cute overload! These box has my name written all over it! The cuteness of the products made my pre-finals week bearable! The packaging of this product is soo cute! I love the dino theme! I cannot believe that this little tube of CC Cream is 30 bucks! It is a good match for my skin and it feels great but the price is a little too crazy. There is a pretty strong scent to the product so if you don’t like strong scented things don’t go for this. I cannot say enough good things. This makes my skin look so glowy. I am in love with the finish of this BB Cream. There is not a strong scent to it at all. This is a pretty big tube for the price and I am happy with the amount of product for the price. These are so cute! The texture is really strange on these masks. The texture remind me of chunky grape jelly. I have used one so far and it made my skin super soft. This are going to hydrate my skin after a long finals week. This is too cute for words. This is not something I would usually wear as a necklace but it would girly up any outfit I choose to wear it with. The actual lip product is pretty moisturizing and feels good on the lips. I don’t know if I would pay 34 bucks just for a necklace with lip balm in it though. Another Shara Shara product! This brand has the cutest products! There is no scent at all that I can detect. The balm itself is very moisturizing and feels good on my elbows which are very dry in the winter. The tin is super durable and is perfect for just throwing in your purse or backpack. This is going to be a staple for my backpack. I knew there was going to be Etude House in here. This is probably my favorite of the products. I got mine in sweet cookie and the scent is to die for. The product packaging is so cute. I want to have them all! The hand cream is very rich and moisturizing. This box was pretty cute. I loved everything in there but I did feel that somethings were pricey for such little things. The CC cream especially is only 10ml and for the price points of thirty bucks it just doesn’t feel worth it. The cuteness of the box made my finals week bearable. I would love Memebox to do a lovely boutique #2.